Our clients are our partners. Working together to promote health and wellness in various formats we are focused on providing a variety of health care and health management programmes directly to people in our community who would like to improve their health and well being. We do this in a number of ways. We provide physiotherapy assessment, treatment, education and consultation services directly to a large and varied population with primarily musculoskeletal injuries. We are also able to address some neurological disorders and pediatric/developmental challenges. Our clients are eager to understand more about their condition and we encourage them to be up front about their goals. We address acute and long-term conditions and have a number of programmes for clients of all ages and lifestyles. They are motivated and appreciative when they see results. We also partner with the medical community who are a strong source of our referrals. We communicate regularly to discuss and develop common goals while seeking realistic and functional outcomes. Employers, industry, retail, sports, educational, insurance and the legal community are all ‘Partners’ with us in the provision of scientific based, outcome oriented, client focused treatment. 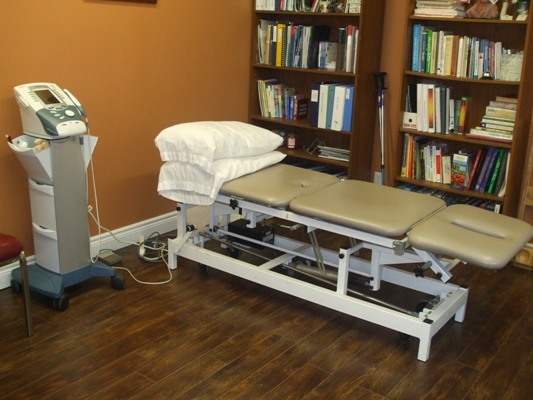 Partners Physiotherapy Service is committed to constant learning that develops our knowledge and abilities. We are passionate about public awareness of the different treatments that we provide and the conditions that we are able to help. We are continually learning from our clients by asking them to evaluate our services and to provide feedback regarding the treatments they have received. Finally, we are each other’s clients. We serve and support each person as we define our goals and work towards the common outcome of living the best quality of life possible. Partnership. Support. Teamwork. These are our key drivers of value. We are your Partners in Progress.